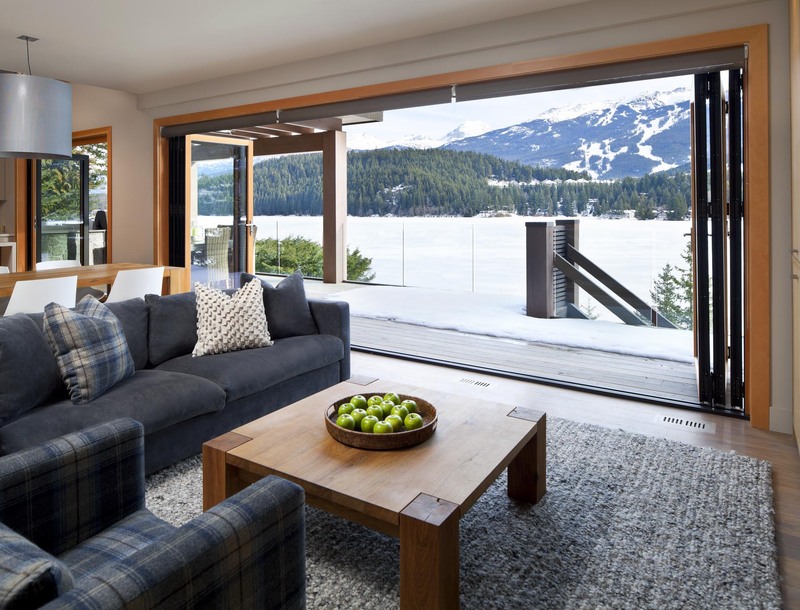 "We do this a lot in our projects," says Joe Rommel, the architect whose name is virtually synonymous with gorgeous custom homes, duplexes and renovations on Vancouver's North Shore and the Sea to Sky corridor. The namesake of Rommel Design Ltd. is referring to the design philosophy of using indoor-outdoor spaces to enhance life at home – and his two decades worth of residential projects back up his comment. 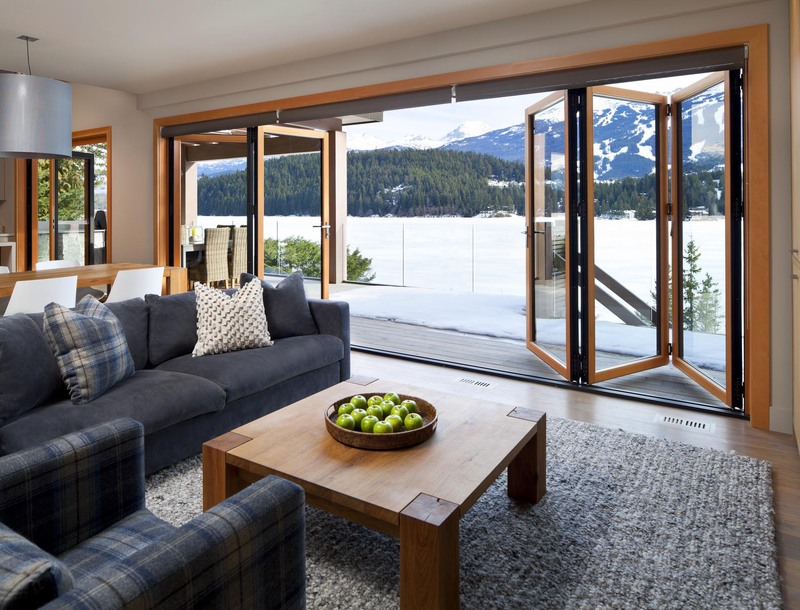 One of the most impressive is a rather grand lakefront chalet in the scenic resort town of Whistler, B.C., where a NanaWall WA67 installation spans almost 20 feet across the living and dining areas, opening up to impressive views of the southern Pacific Ranges of the Coast Mountains. It’s a contemporary gesture for a decidedly modern, stunning residence. 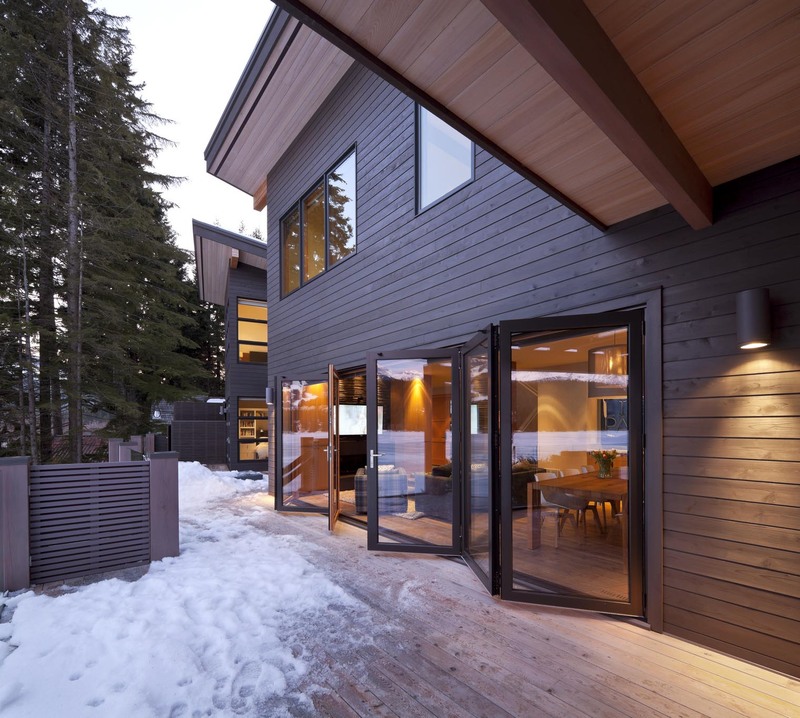 When the architecture firm was approached to design the “cottage” for the client, David Chapman, “I knew immediately that it was to become more than that,” says the architect. 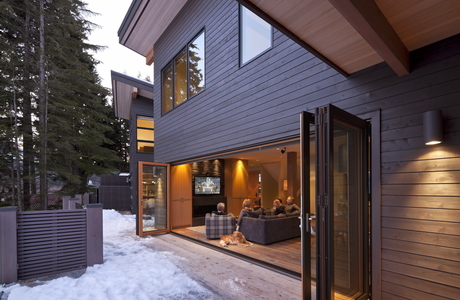 The client expressed his intent to utilize the NanaWall system throughout to bring the outdoors in. “Initially, I thought this to be somewhat of a challenge, especially in Whistler where winter does dominate. However, it seemed to work well,” says Rommel. "The choice of NanaWall hinged on the company's strong reputation, the breadth of options and configurations, and also the ease of operation." One application employs a NanaWall Wood Framed Aluminum Clad Folding System WA67 specified as a six-panel arrangement to open up as symmetrical three-panel retracting sections or as a pair of normal doors, like French doors, using the two middle panels. 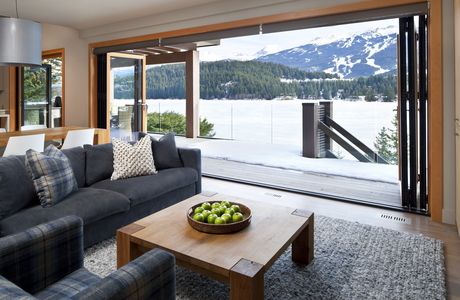 In this way, family and friends can enjoy a little bit of Whistler’s outdoor ambience–or lots of it. According to Chapman, the choice of NanaWall hinged on the company's strong reputation, the breadth of options and configurations, and also the ease of operation. The “beauty of the product” appealed to both client and designer, he adds. 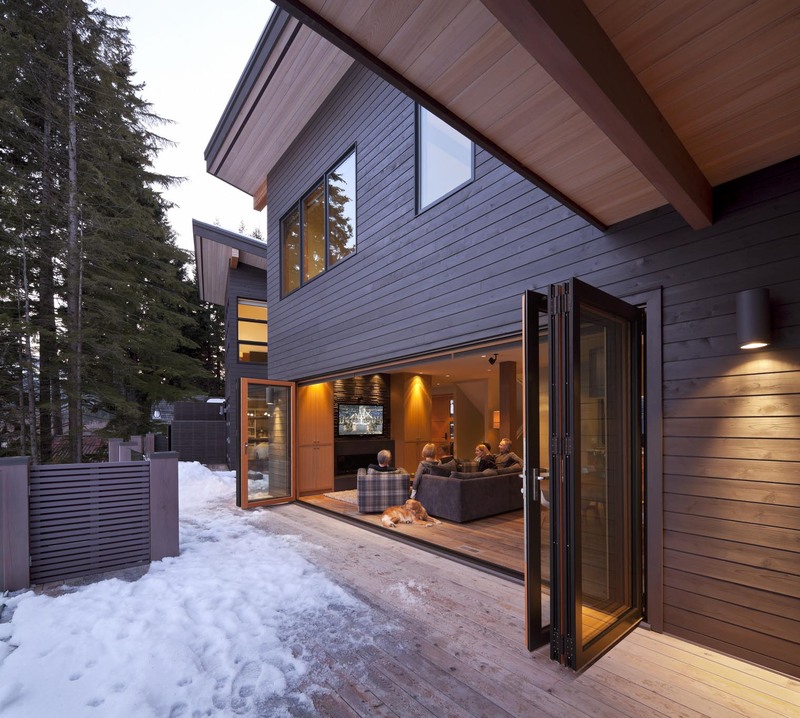 In fact, the dwelling’s layout lines up the NanaWall openings along the mountain-facing façade, creating a single exposure that is open to the elements. 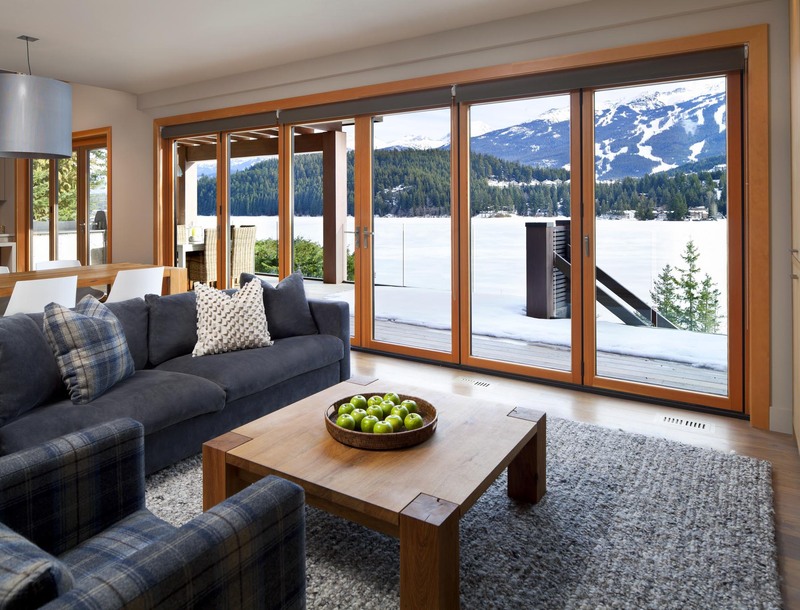 This helps ensure that the folding glass walls can be open throughout much of the year without draining heat or conditioned air from other areas of the house. The WA67 system is ideal for homes where quality and durability are the focus. It is engineered and independently tested for air- and water-penetration resistance, structural deflection, thermal performance and even forced entry. 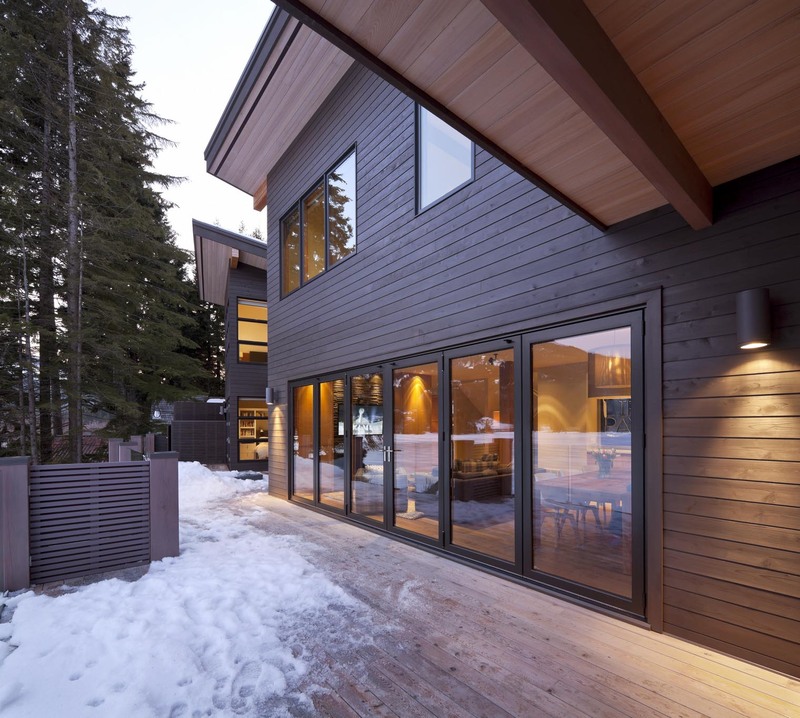 The systems also carry a thermal performance rating from the National Fenestration Rating Council – an important feature in energy-conscious Canada. 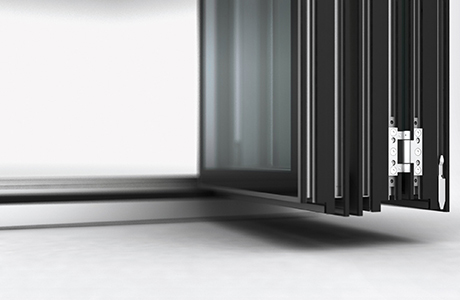 Behind its attractive trims of coated aluminum is a foam layer and triple glazing, so the WA67 can even meet rigorous Passive House Standards. 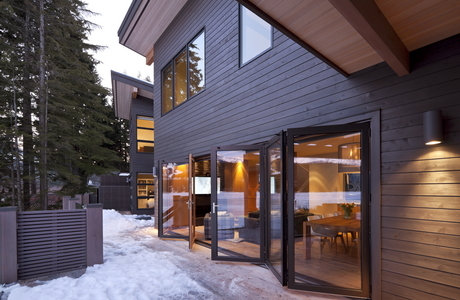 With selected glazing it can also meet Energy Star values. It all adds up to a good value, according to the project participants. “We have been very happy with our NanaWall systems and would highly recommend them to our closest friends,” says Chapman.